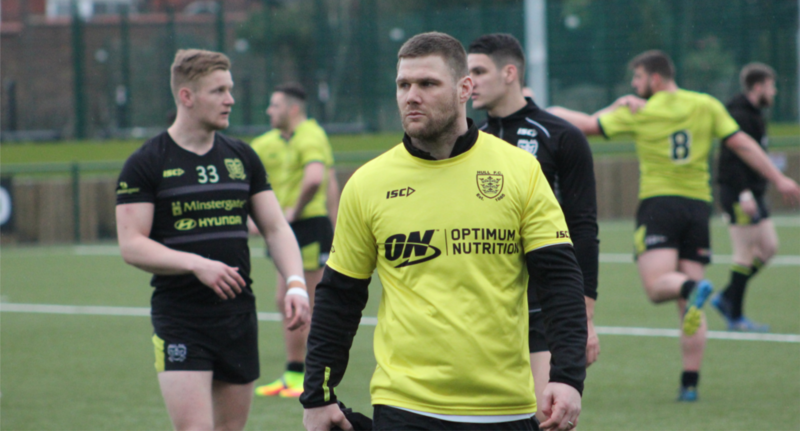 Gareth Ellis finally made his long awaited return to action, as the Hull FC skipper lined up for the clubs Reserve side during a 30-10 victory against Halifax on Saturday afternoon. Ellis has been missing with a sternum injury for three months, having last featured for the Black and Whites during the clubs Super League win over Castleford back in April. Ellis, as expected, never took a backwards step in a 50-or-so minute outing that will be pivotal to his recovery. Hull face Leeds in a Challenge Cup semi-final in a fortnights time, with the veteran no doubt targeting that as his return. The old war horse got through his fair share of carries, passes and defensive contributions in the prop position, as a physical and hard working Halifax side, as usual, pushed Hull all the way. FC also fielded Jansin Turgut in the back row, with Jack Logan cruelly sidelined with injury again. City of Hull Academy regulars Lochlan Fitzgerald, Bobby Downs, Rob Branton, Kieran Buchanan, Callum Tramner, and Niall Sidney all featured, with the Academy showing their strength in depth, recording a terrific 38-10 at Warrington earlier in the afternoon. 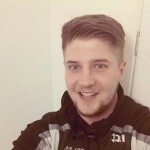 For FC, Reserves regulars Mike Adlard and Jack Wray were very good – both contributing to the attack and crossing over for tries, but in truth this was a contest, and like many seen in first grade this season, hindered by errors. A stop start nature continued throughout, but Hull had the better of it. A slick right to left shift opened space for Matty Welham, the North Hull Knights winger, to break, before he kicked through for Wray to score the games first try. Wray converted, before solid centre play from Connor Bower put Welham in for a second try. Halifax responded before half time, but it wasn’t enough for Hull to take a 10-4 lead into the break. With Richard Horne still overseeing the side Hull started the second half in potent fashion. Ellis was involved again for the final time as his pass saw Adlard craft his way over for a fine try. Halifax again hit back but Wray took control again, putting a neat kick on a plate for Welham, before converting from the touchline. Fitzgerald then grounded a kick to further extend Hull’s lead, with Ross Osborne barging his way over soon after for the games final try. Hull Starting XIII: 1. Mike Adlard, 2. Niall Sidney, 4. Kieran Buchanan, 3. Connor Bower, 5. Matty Welham, 6. Lochlan Fitzgerald, 7. Jack Wray, 8. Ross Osborne, 9. Bobby Downs, 10. Gareth Ellis, 11. Brandon Westerman, 12. Jansin Turgut, 13. Zeus Silk. Interchange: 14. Callum Tramner, 15. Ash Bastiman, 16. Alex Gilbey, 17. Rob Branton. Hull Tries: Wray, Welham 2, Adlard, Fitzgerald, Osborne. Goals: Wray 3/6. Editor of Up the Cream. Once upon a time I looked like my profile pic.